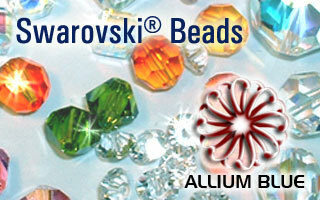 Swarovski Crystal Beads are very popular and easy to use. They are available in the latest fashion colours, effects and cuts. Used in a variety of applications (beading, sewing, wire work, etc. ), they blend perfectly with other crystal elements. They are available as loose elements, or linked as Bead Chains (see Linked Findings).